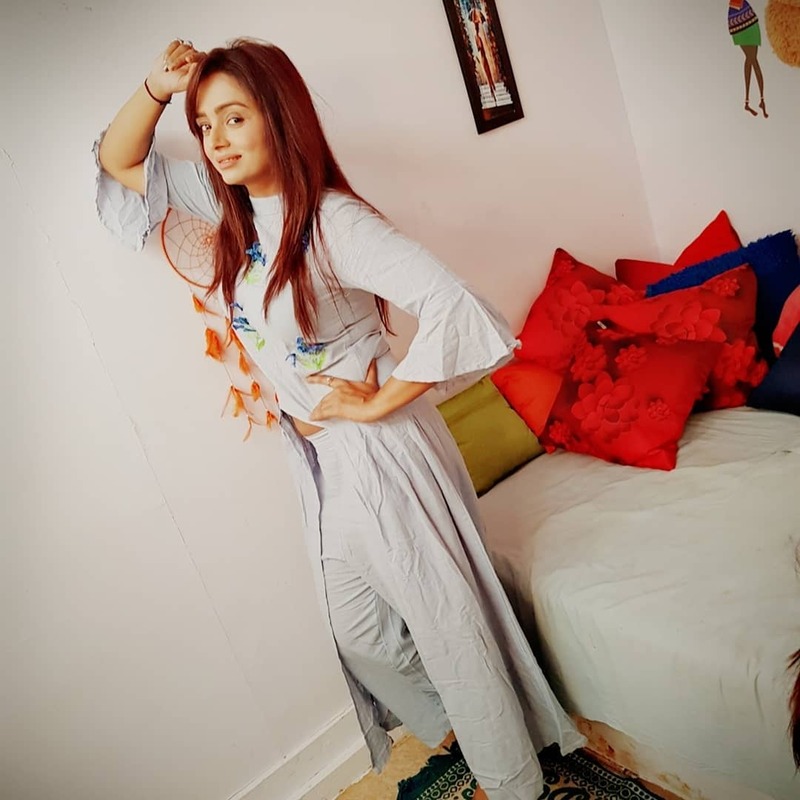 Parul Chauhun is Indian Television actress and model who is predominantly works in TV serials like Rishton Se Badi Pratha and Yeh Rishta Kya Kehlata Hai as Swarna Goenka. Checkout Parul Chauhun wiki, age, boyfriend, family TV shows biography and more details on Celenote. Parul Chauhun was born on 19th March 1988 (age 30 years)in a place called Lakhimpur Kheri, Uttar Pradesh, India. We did not found any details about his parents or brother or sister but we have a good news for you in below section. 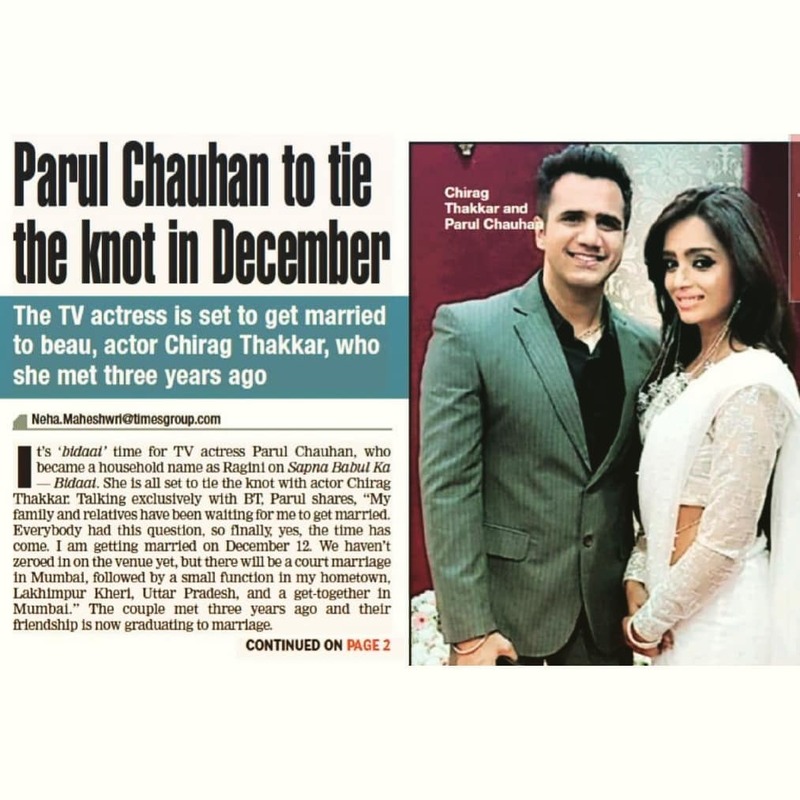 According to Parul Instagram account post, she is going to marry Chirag Thakkar in this December though the marriage venue is not settled yet. In interaction with Bombay Times, Parul further added how she met Chirag back in 2015 through a common friend and was instantly in awe of his simplicity and how he generously he treats people around him. Parul never thought that she will be getting married to Chirag but always hoped to see a guy as loving and as caring as him. 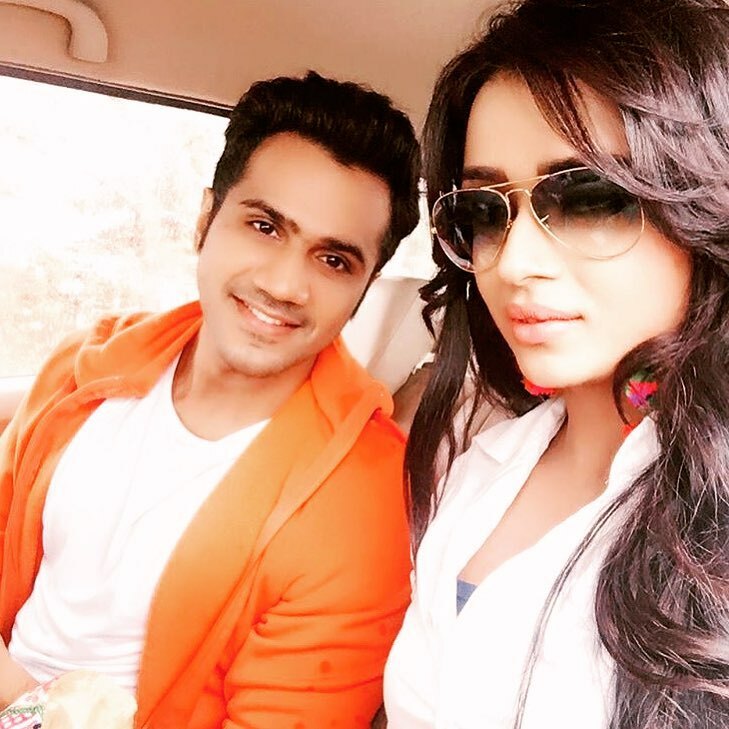 Chirag Thakkar is also an actor by profession and met Parul through a common friend in a party. Parul Chauhun is a gorgeous looking girl and is 5ft 3 inches tall. She weighs around 55 Kg and her figure measurement is 34-25-35. She has brown eyes with a fair complexion. She is belong from U.P. and did her schooling from a Govt. School in Lakhimpur Kheri. She completed her graduation from Government Girls Inter College, Dildar Nagar, Uttar Pradesh. After graduation, she came to Mumbai and started her career playing the lead role of Ragini Ranvir Rajvansh in the show Sapna Babul Ka...Bidaai from 2007 to 2010. In 2009, Parul then participated in Jhalak Dikhhla Jaa Season 3. 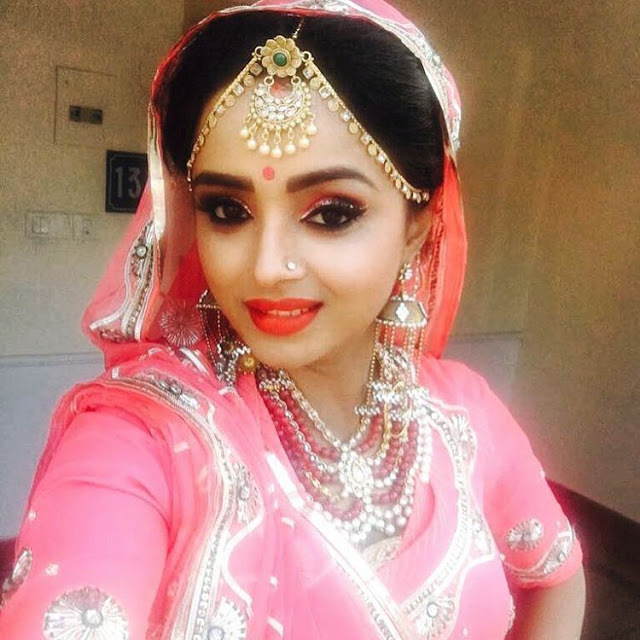 In 2010, she replaced Shalini Chandran as the lead in the television series Rishton Se Badi Pratha. 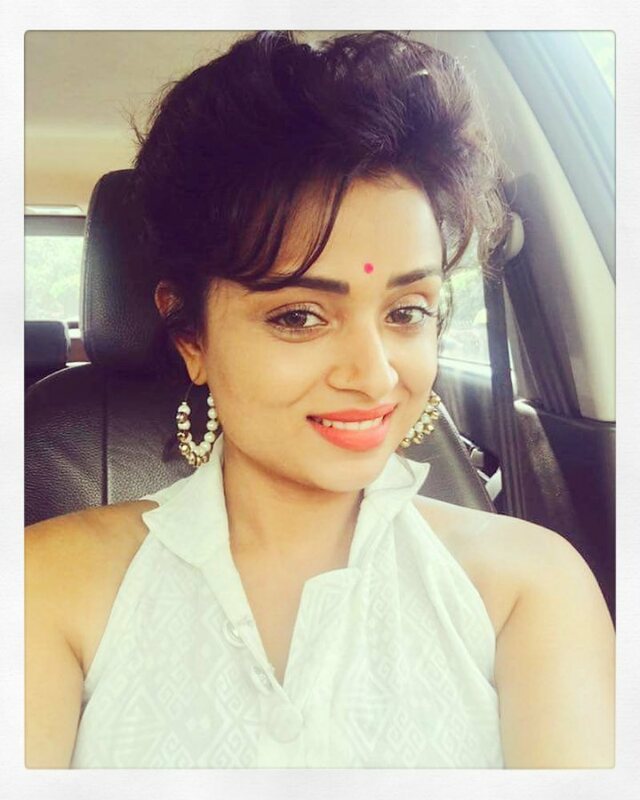 She was seen in shows like Punar Vivah - Ek Nayi Umeed, Meri Aashiqui Tumse Hi. As of 2016, Chauhan is playing Swarna in Yeh Rishta Kya Kehlata Hai till now (2018) in a supporting role. Parul Chauhun also won many Telly awards. She wons Indian Telly Awards in 2008 as Best Actress In Lead Role. She repeatedly won two awards for Favourite Bahu and Favourite Bhabi in Star Parivaar Awards (2009-2010). Parul born and brought up in Lakhimpur Kheri, Uttar Pradesh, India. In 2009, she participated in the dance reality show ‘Jhalak Dikhhla Jaa’ Season 3 with choreographer Deepak. She also acted in the Bollywood film ‘Myoho’ (2012). She won the Gold Award for Best Debut on T.V.